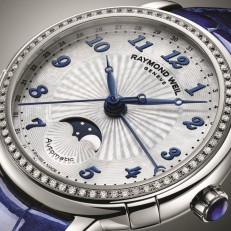 A new model Maestro Phase de Lune Semainier (Ref. 2859-STC-00659), presented this year by the Swiss company Raymond Weil, features seven dark blue hands, gradually moving on the dial of sky-blue. They index the local time, day, date, month, moon phase and the week number that, no doubt, will be appreciated by business people. Dressed in the center with a pattern Clou de Paris, the luxury dial "shelters" just seven-blued hands completing their nonstop running in circles. Hour and minute hands are going in circles along the traditional scale, labeled with Roman numerals. 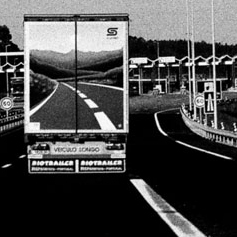 For it is equipped with a scale of the months and days of the week. The date and day of the week are built into the apertures at the 3 and 9 o'clock positions. The novelty operates on the base of mechanical self-winding caliber RW3600. Power reserve of the caliber, assembled by 25 jewels, is 42 hours. The model Maestro Phase de Lune Semainier (Ref. 2859-STC-00659) is presented in a round, made of polished stainless steel case with a diameter of 41.5 mm and a thickness of 10.85 mm. The case on both sides has a double anti-reflective sapphire crystal. The watch water resistance is 50 m.
The model is equipped with a black calfskin strap, stylized "under the alligator," with a saddle stitching and a buckle in polished steel. To buy the Maestro Phase de Lune Semainier (Ref. 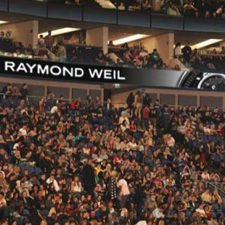 2859-STC-00659) watch is available through the official representatives of Raymond Weil.